Our second great show. 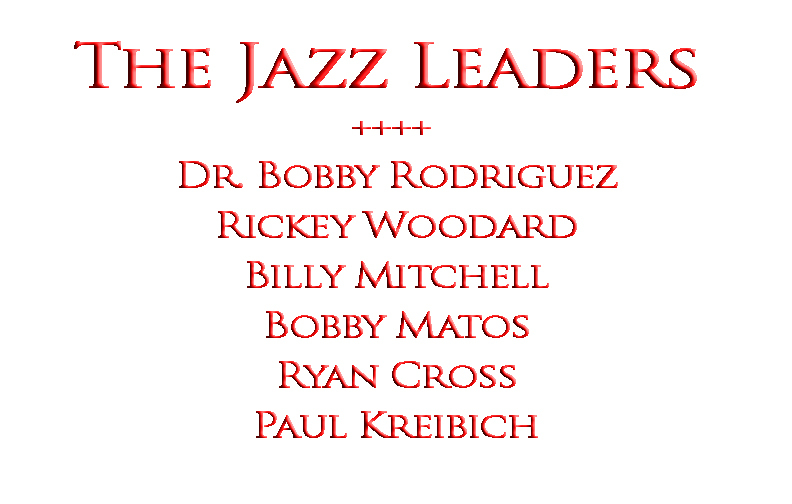 The Jazz Leaders are the hardest working musicians in Los Angeles. 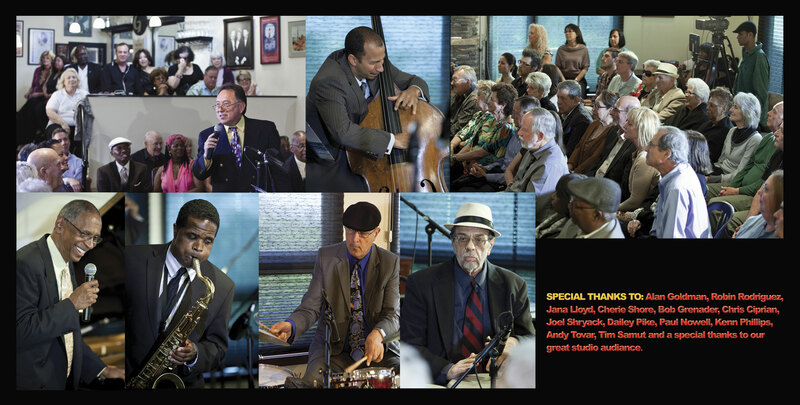 From this show we have a "LIVE" CD recording and great youtube clips. Go to youtube http://www.youtube.com/results?search_query=drbobbyrod and see our clips. Rickey Woodard – saxophone - was born in Nashville, Tennessee. After studying saxophones under Bill Green and majoring in music at Tennessee State University, Woodard worked extensively with a wide range of performers. He worked with jazz artists such as Jimmy Smith, Billy Higgins, Frank Capp and Al Grey and also backed singers from the jazz and pop worlds including Ella Fitzgerald, Ernestine Anderson, Barbara McNair and Prince. He also recorded with Capp and with the big band co-led by Jeff Clayton and Jeff Hamilton. Mostly playing tenor saxophone, he established a solid if localized reputation in the USA before venturing onto the international jazz festival circuit. By the early 90s Woodard was fast becoming a popular visitor to Europe and the UK. Playing alto and soprano saxophones in addition to tenor (he also plays clarinet, flute and guitar). Woodard is a vibrant and forceful soloist, his tenor saxophone styling hinting at an affection for the work of Wardell Grey, Dexter Gordon and, especially, Hank Mobley. For all such stylistic mentors, however, Woodard is very much his own man and this, allied to his playing skills and an engaging personality, assures him of a continuing welcome at jazz venues at home and abroad. Billy Mitchell – piano - was born in Tarrytown, NY and raised in Buffalo, NY. Billy Mitchell tinkered with the piano as a child but did not get serious about music until he entered Morehouse College in Atlanta, GA. While pursuing a political science degree he joined the school jazz band and was soon playing gigs in and around Atlanta. In 1970 Mitchell moved to Los Angeles to pursue his career and was soon backing up such artists as Gloria Lynn, Ester Phillips, Randy Crawford and Linda Hopkins, to name a few. His solo career has included appearances in film, most notably Clint Eastwood's "Bird." His work as a clinician has centered on his book, "The Gigging Musician" (Backbeat Books) based on interviews and his articles as a writer for Gig Magazine. In 2002 Billy founded The Scholarship Audition Performance Preparatory Academy (SAPPA). This program is designed to increase participation of inner-city students in music and arts scholarship competitions. 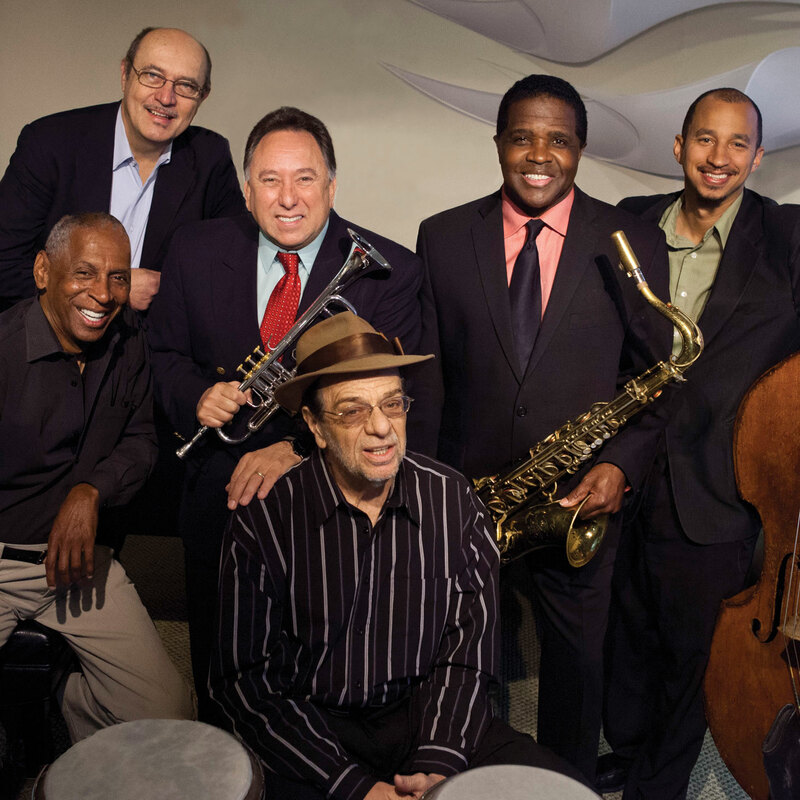 Bobby's latest recording, "Beautiful as the Moon," features a wide range of Latin jazz sounds that reflect influences from Thelonius Monk, Herbie Hancock, Armando Peraza and even Yiddish theater tunes. Bobby's website is www.bobbymatosmusic.com and his facebook page is http://www.facebook.com/profile. Ryan Cross – bass - was born and raised in Seattle, Washington, moved to Los Angeles, California when he received a full scholarship. He studied with John Clayton at the University of Southern California. Graduateing in 1999 with a Bachelor of Music in Jazz Studies his career immediately took flight. He has appeared and recorded on over 40 TV shows and movies to date. Due to his high level of proficiency in all styles of music, Ryan is able to readily adapt his live performance skills to the studio-recording environment on a moment's notice. This has helped him become a polished film composer of award winning films. Is a name that is synonymous with professionalism and musical excellence. American Idol, Friends, The West Wing, Studio 60, Along Came Polly and Poseidon are just a few of the television and film productions that have benefited from his expertise. At the age of 16, he discovered the acoustic bass and seized the opportunity to study under Ray Brown, one of the most well-known and prolific bass players of our time. Ryan served as the contractor for Alicia Keys' CD release, "As I Am", on which he contracted twenty-five musicians and personally recorded bass and cello tracks. He has also graced the recording studio and stage with Stevie Wonder, Jill Scott, John Legend, Gladys Knight, Chaka Khan, Macy Gray, Ciara, P-Diddy and Rihanna. Ryan plays a strong advocacy role in the preservation and implementation of music in school. For several years, Most recently, Ryan founded the Elevation Orchestra, a 17-piece multicultural string orchestra with piano, bass and drums. The Elevation Orchestra strives to work closely with children and parents in the urban community to elevate their knowledge of culture, history and art by playing concerts all over the country in schools, churches, museums and symphony halls.